Sports Stickers- Football Wall Sticker for the players of the sport. The image of two players battling is one that everyone wants to see, summing up the competitiveness of the sport. The sports wall sticker is best suited in a children´s bedroom or at a sports facility. It will create the fun and competitive atmosphere wherever it is placed! 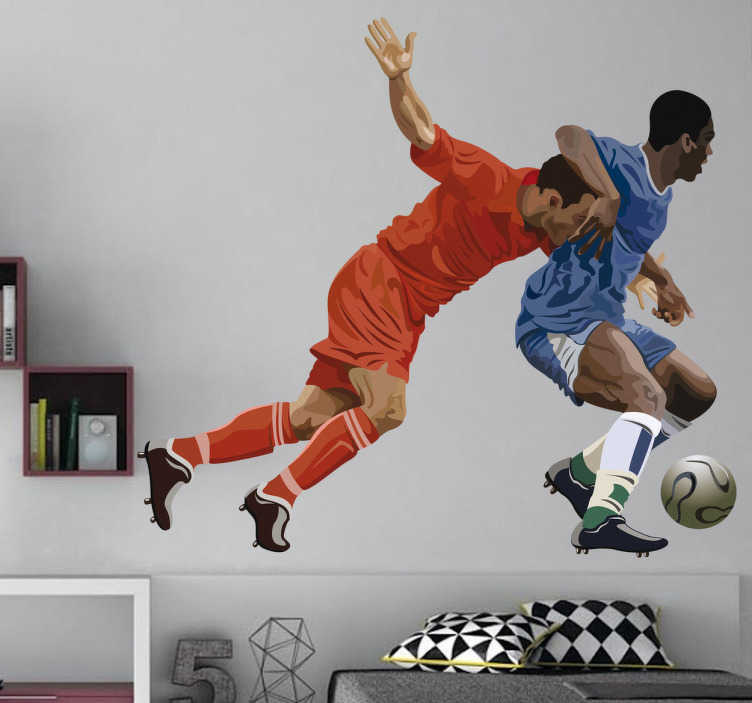 The Football Players Wall Sticker comes in different sizes and is easy to apply. There is also no residue left after the sticker´s removal.